When a new service joins Desert HealthÂ®, I like to know as much about it as I can â€“ to educate myself and to better inform readers. Such is the case with SilkPeel Dermalinfusion. I hadnâ€™t heard of the treatment which Studio Facials owner Kris Kabris called â€œall the rage in LA,â€ so I went to work researching its efficacy. What sets this treatment apart from others? What skin conditions does SilkPeel treat? Like other treatments, SilkPeel stimulates blood circulation and revitalizes collagen production, which promotes younger-looking skin. However, the therapy is also designed to help problem skin conditions through the different serums added.Â The vitamin C solution helps sun-damaged skin and is used as a skin brightener for hyperpigmentation. For acne, the skin is infused with two healing agents: salicylic acid which dissolves pore plugs and bisabolol, an agent extracted from chamomile which works to calm inflammation and condition the skin. For dark spots, the active ingredient is lumixyl peptide, and for dehydrated skin, hyaluronic acid, which is produced in the body naturally. How many treatments are required to see improvement? According to numerous websites, serious side effects donâ€™t seem to be a major concern. Skin irritation and redness from the exfoliation process and some reactions to the serums were noted. I enjoyed my treatment with Kris and the plump and polished look that followed. She recommended the vitamin C for anti-aging and kindly reminded me to wear sunscreen daily. She also used the hydrating serum on my lips and around the eyes. I was in and out within an hour and on with my day. For me, results were indeed immediate and visible for days. 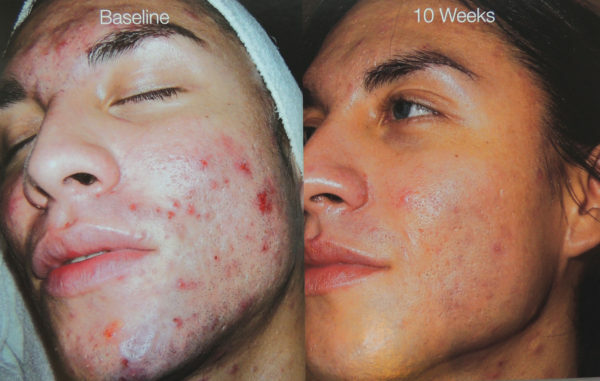 For more information, contact Kris Kabris at Studio Facials (760) 636.3555.